This thought occurred to me when I read this FT story [that purposely tried to stir up controversy and a general sense of unease] about a Russian-built nuclear power plant in Belarus, close to Lithuania. China's artificial islands are sometimes [rightly] thought of as unsinkable aircraft carriers. Could benign-looking civilian-use nuclear power stations be in fact usable - in times of war - as killer nuclear weapons? 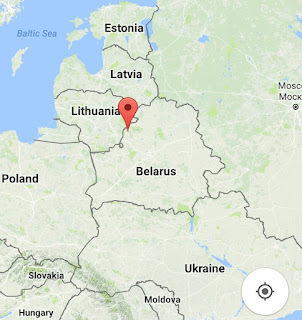 Specifically, what if a nation - say Belarus - strategically locates a "civilian use" nuclear power plant at its border, in an area with near-zero own population, but close to an adversary nation's key population center? What international law stops a nation from doing this? Probably none. You get plausible deniability - "Oh! It's just a civilian-use plant for reliable electricity supply.". But what if during war such an atomic power station is purposely blown up, thus releasing highly toxic radioactive radiation and particles towards the adversary nation's population center? Usual wind directions could also be taken into account to conduct planning. The idea isn't as impractical as it might seem at first, particularly with countries such as Russia forced to resort to asymmetrical reciprocal measures in response to Western financial/trade sanctions and heavy eastward military buildup of NATO.